An Interview with Santa Claus reveals that neat handwriting and good manners count! — Golly Gee-pers! 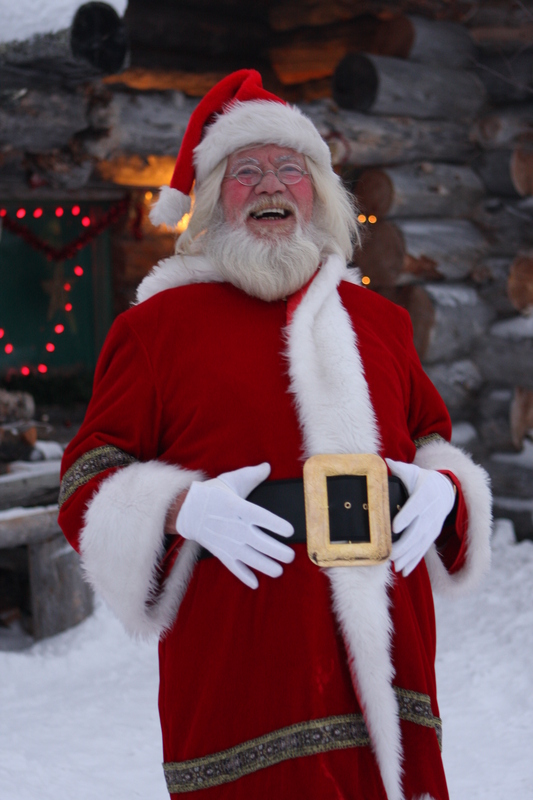 An Interview with Santa Claus reveals that neat handwriting and good manners count! Reached by phone at his workshop at the North Pole, St. Nicholas, commonly known as Santa Claus, gave an exclusive interview to the Journal & Courier Wednesday afternoon. J&C: Good afternoon, Mr. Claus. SC: Call me Santa. Everyone does. J&C: You are probably aware of this, but thousands of children are preparing letters to you and our local postal carriers will collect them and make sure you receive them in time for Christmas. SC: I'm so pleased. Mrs. Claus and I love to receive mail and I read a big stack of letters every night after we have dinner. J&C: Santa, on behalf of the schoolchildren down here, could you please provide some tips on writing an effective letter to you? SC: I'd be honored. It's important to ask kids to take their time and use your their best handwriting or printing. My eyesight isn't what it used to be, so make sure your letter is nice and clear. J&C: Do some kids type their letters on a computer? J&C: Does correct spelling matter? SC: Well, I always like to see older children using proper spelling. It shows me that they are working hard on their weekly spelling words at school. But I know younger children sometimes spell words the best they can. I've read so many letters through the years I can usually figure things out. J&C: What else is important to remember? SC: The two magic words: please and thank you. It makes me so happy when I receive polite letters. Did you know that some children even write me thank-you notes after Christmas? Mrs. Claus has a number of them posted on the refrigerator with magnets. J&C: Do you ever get letters from children who ask for things for other family members, not themselves? SC: All the time. There are millions of children around the world who are very concerned about the people they love. I always enjoy hearing from them. J&C: There are lots and lots of good kids down here who have been behaving well at home and at school. SC: I know! Too many to mention, but, look I've only got time for one more question before I have to get back to toy-making. We're working on Lincoln Logs, Barbies and bikes today. J&C: Will you be making some guest appearances before Christmas? SC: Oh yes! I really enjoy seeing the children so I always try to make time to do that. Ho, Ho, Ho! J&C: Thanks for your time, Santa. SC: Your welcome. Tell the kids to keep those cards and letters coming!